Eversharp Symphony model 701 second generation fountain pen from the late 1940s. Lever filler in daek blue with a chrome plated "slipper" style cap and gold plated trim. It has a very narrow gold plated cap band. 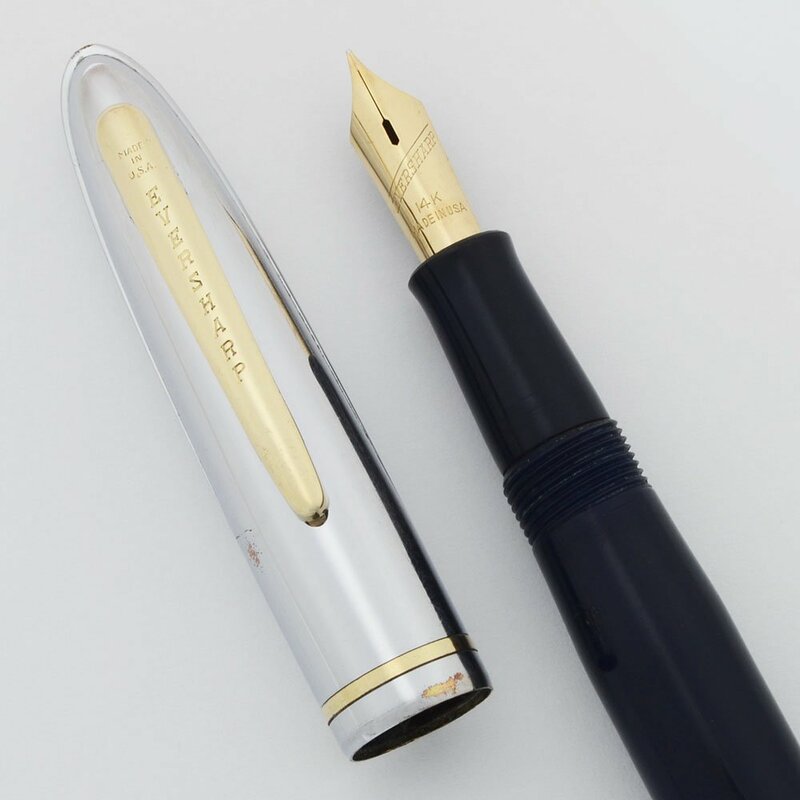 Fine 14k nib. Very nice condition. Color Blue body with a chrome plated cap and gold plated trim. We've seen the cap referred to as chrome plated and as stainless steel, but it's clearly plated. The trim includes a 1/16" narrow cap band. This is the slipper cap version. Condition Very nice condition. No dents or major scratches. There are a few tiny rough spots on the cap with plating wear and some dings as well. The barrel has an area with some marks that look like pitting, but aren't, just beneath the capped border. We've fully restored the pen and it is working well.